Caroline Weber has participated in 11 (yes, eleven!) European Championships. This year, the 27-year old Austrian just made the top 8 finalists with clubs in her last European Championship in Vienna. She started competing at the age of 10 so she has been on the carpet for 17 years! Known by fans and friends as "Caro," the best Austrian gymnast of all times, has achieved very good results at big international events. At the World Championship 2011 in Montpellier she placed 15th in the all-around. In 2010, she and her teammates took 10th place in the team competition – the best team result ever. At the 2011 Europeans in Minsk, Caro made the ribbon final (8th) and got 6th place in the team competition along with her young and promising teammate Nicole Ruprecht. Weber also participated in two Olympic Games (17th 2008, 18th 2012). She thus displaced Birgit Schielin (24th in Atlanta, 1996) as the best Austrian ever. Caro's domestic results will likely remain unbeatable for a while: from 2003 to 2012 she won the Austrian all-around championship ten times in a row and also grabbed all four apparatus titles. 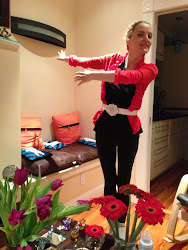 Her total of 55 state championships may set a wolrd record for gymnasts. Bulgarian fans should be very proud that Caro has worked with Bulgarian coaches and has maintained a friendly relationship with them for over a decade. I felt very moved as watching this experienced gymnast and her coach wait for her last scores, especially her coach, who took her to the world class level. Any coach realizes that dedication and diligence don't come often and don't last long, but to stay in the world's top 20 for over a decade is not just rare, it is pretty amazing. So, we say "good bye" to Austria's best. And I think we all can cry a little. I certainly did. So, the Worlds will take place in Kyiv this year, and the Ukrainians are working hard and expecting medals. 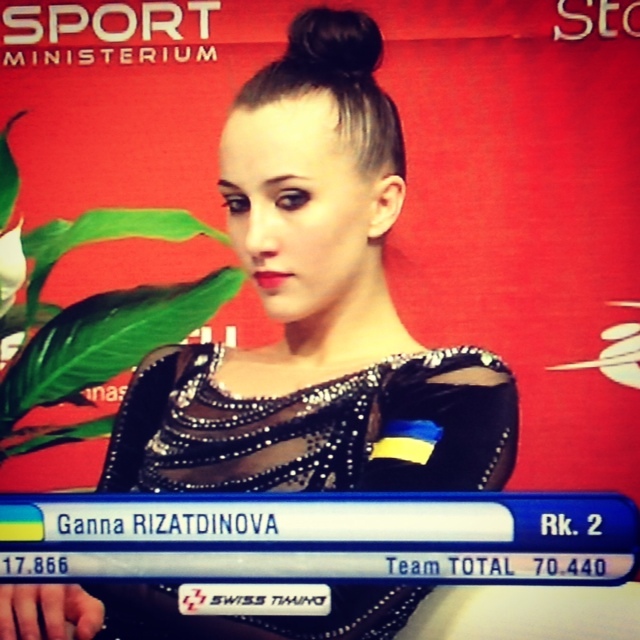 I have always thought that Ganna Rizatdinova has greater potentials than Alina Maksymenko. 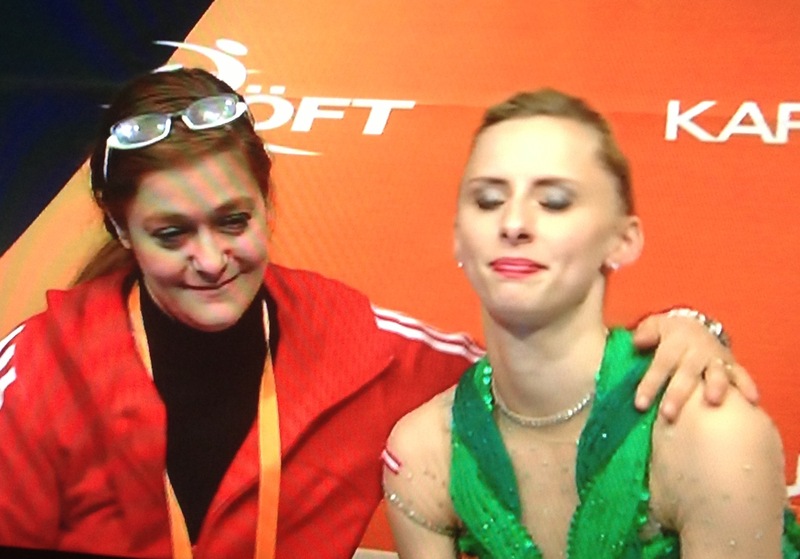 At the European Championship this year, Ganna won silver with ribbon but stayed out of the podium in the other finals. This year I like her hoop routine best and I expected more medals for her. 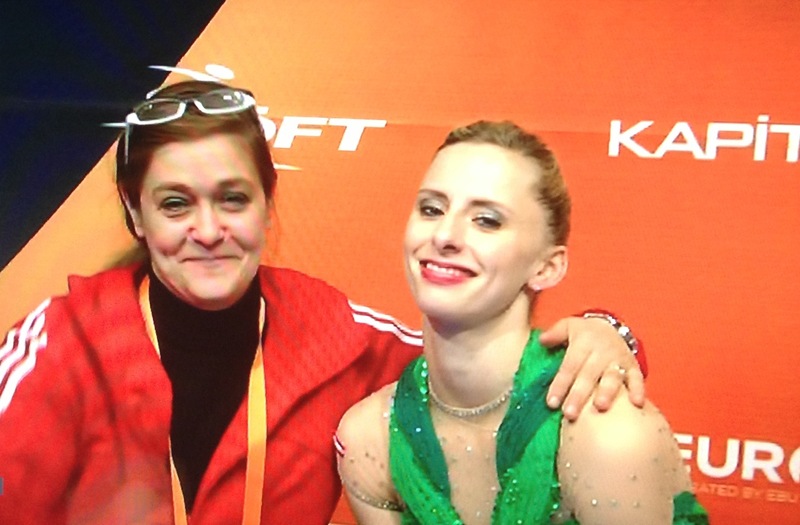 Ganna didn't look happy with her scores so she must have expected more, too. 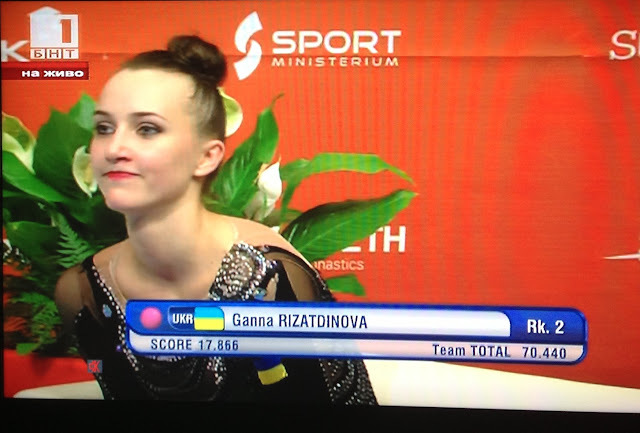 What is Ganna missing that will make her outscore Mamun, Kudryavtseva, Miteva and Staniouta? She demonstrates great pirouetting technique, she can jump, and she can dance expressively. I think the area of potential improvement is apparatus difficulty. Her clubs routine is especially static, as she is holding the clubs in both hands most of the time. The ball routine, otherwise very elegant, also features catches with two hands only. 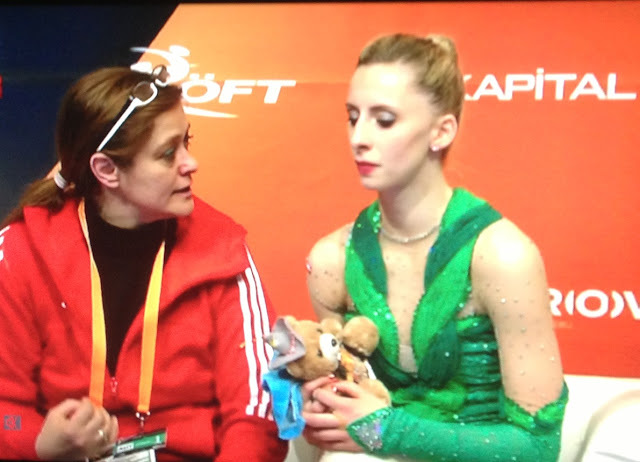 Ganna won a medal with ribbon, but Kudryavtseva and Staniouta both had errors. Frankly, her ribbon does not impress me either. The only routine I like this year for Ganna is her hoop routine. I hope she puts in more apparatus difficulty before the Worlds in her homeland. That way, she will show off all the qualities of a winner.